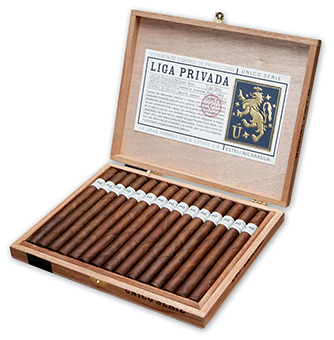 Milan Tobacconists, Inc. is a Drew Diplomat Retailer and Liga Privada appointed merchant. 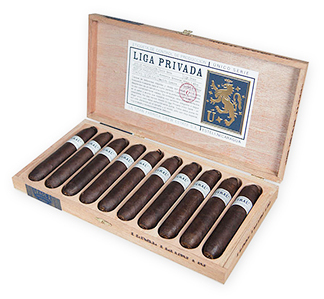 Handcrafted at La Gran Fabrica Drew Estate in Nicaragua, the Liga Privada Unico Serie Dirty Rat cigars are extra special, extremely limited, and exceptionally delicious. These full-bodied coronas offer strength, complexity, and bountiful flavor derived from an intricate blending of five spicy Honduran and Nicaraguan fillers, Brazilian Mata Fina binder, and a very special Connecticut River Valley stalk cut and cured sun grown Habano wrapper. It may cost more than your typical corona, but then the Dirty Rat is far from typical. Enjoy the sweet, spicy, and creamy notes of this beautifully constructed cigar and the cost will quickly fade from your memory. 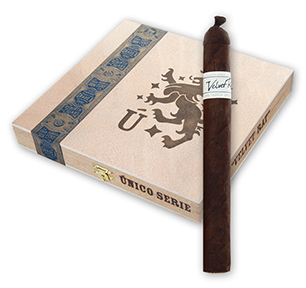 As with all of the cigars in the Liga Privada Unico Serie line, the Feral Flying Pigs are special, delicious, and available in very limited quantities. Handcrafted at La Gran Fabrica Drew Estate in Nicaragua by only a handful of select rollers/buncheros, the Feral Flying Pig is a feisty, full-bodied figurado with bountiful flavor, amazing construction, and tons of smoke. The oily and toothy Connecticut Broadleaf wrapper surrounds a Brazilian Mata Fina binder and five different Nicaraguan longfillers offering up notes of espresso, dark chocolate, leather and cedar with hints of spice, pepper, and sweetness throughout. 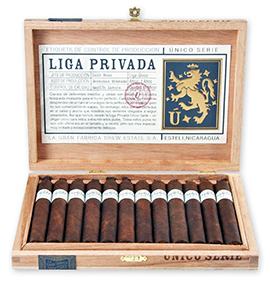 Another limited production in the Liga Privada Unico Serie lineup, the handcrafted L40 cigar is so named because it is an unusually sized 40 ring gauge lancero. Drew Estate master blenders simply couldn't fit all the great longfiller tobaccos they wanted into a 38 ring gauge, which is typically associated with a lancero. Blended with a Brazilian Mata Fina binder and choice Nicaraguan fillers wrapped in Connecticut River Valley stalk cut and cured Habano leaf, the L40 shares notes of chocolate, earth, cedar, coffee, while hints of cream, spice, and pepper, and a savory meatiness wander in and out of play. The L40 is yet another winner in the Unico Serie line produced at La Gran Fabrica Drew Estate in Nicaragua. 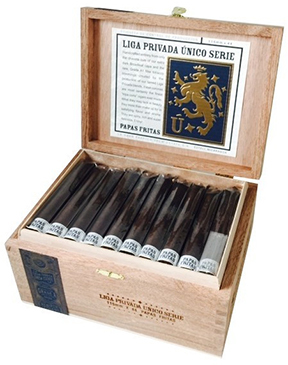 Drew Estate's Liga Privada Unico Serie Papas Fritas cigars are handmade at La Gran Fabrica Drew Estate in Nicaragua from chaveta cuts of the company's own extra dark broadleaf capa and the rare Grade A1 filler tobacco trimmings created during the production of their famed Liga Privada blends. These medium- to full-bodied coronas may be some of the finest "tripa corta" cigars ever made, and though they don't look as elegant as their Liga siblings, they hold their own in every other way, including the flavor department with spicy, rich deliciousness! Papas Fritas cigars are named after one of Jonathan Drew's favorite foods ~ French fries. Unlike an order of fries, however, the typical Papas Fritas offers up to a full 40 minutes of enjoyment, is just as tasty, and dare we say healthier. An elongated version of the Dirty Rat, Ratzilla's size adds an entirely different dimension to the flavor profile of this cigar. Using the same intricate blending of five spicy Honduran and Nicaraguan fillers, Brazilian Mata Fina binder, and dark, rich Connecticut River Valley stalk cut and cured sun grown Habano wrapper, Ratzilla is a medium- to full-bodied smoke with notes of earth, espresso, cocoa, spice and cream. As with its brethren, the Ratzilla cigar is impeccably constructed, very difficult to come by, and worth every penny. 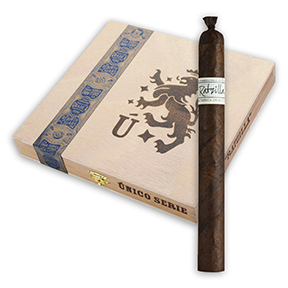 The UF[Unico Fuerte]-13 is considered by many to be the pinnacle cigar in the remarkable Liga Privada Unico Serie lineup. Handmade to perfection by the most acclaimed rollers at La Gran Fabrica Drew Estate, the limited production UF-13 is blended with select Nicaraguan and Honduran Cuban-seed fillers bound in plantation-grown Brazilian Mata Fina, wrapped in a stunning, oily Connecticut Broadleaf Dark Medium leaf, and finished with flair in a fan cap. These medium- to full-bodied flavor bombs are very complex with rich notes of chocolate, vanilla, espresso, and nuts offset by just the right amount of meatiness, leather, and black pepper. If/when you ever have the opportunity to purchase these rare cigars, don't hesitate. Velvet Rat cigars are as velvety smooth as their name implies and hand rolled by the very best rollers at La Gran Fabrica Drew Estate to smoke sublimely. These full-flavored, medium- to full-bodied cigars are earthy and leathery with delicious notes of coffee, cocoa, sweet tobacco, and licorice, all thanks to the blending wizardry of Honduran and Nicaraguan long-fillers bound in Brazilian Mata Fina leaf and finished in a gorgeous reddish-brown Connecticut Broadleaf wrapper. The Velvet Rat is slightly lighter and sweeter than other cigars in the Unico Serie, but no less special and just as elusive.